How Should I Store A Value for a Rails Application Which Changes Periodically but Needs To Be Accessible to All Users? 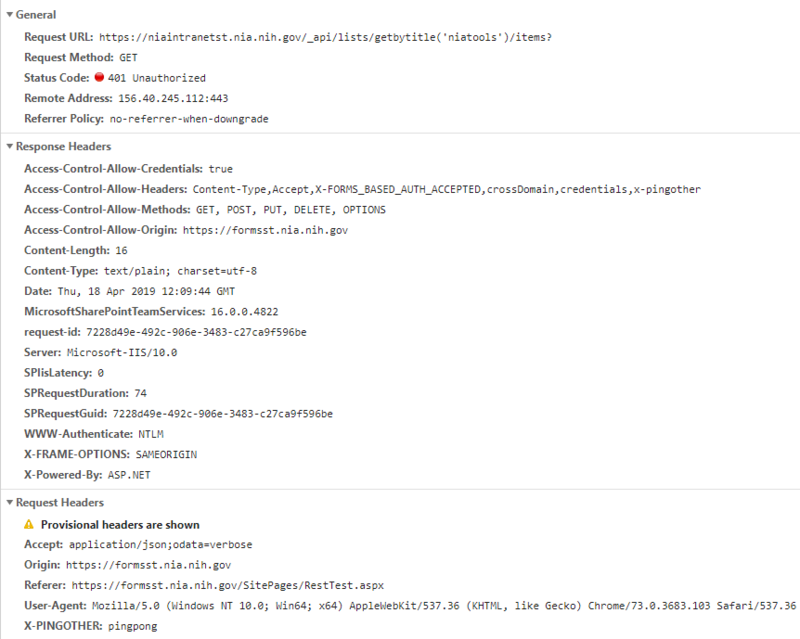 Cross Domain Ajax Getting 401 Unauthorized Despite getting by Preflight using URLRewrite : Does SharePoint 2016 Require me to Send login credentials? I have a Rails webapp hosted on a subdomain hitting our API on a different subdomain. We are using the rack-cors gem allowing all origins to all resources. This works fine in Chrome but with Firefox it throws an error about CORS after executing the OPTIONS request (it doesn't receive a response). If I use all of the same headers and execute the request using curl from the command line then it returns a 200 OK. 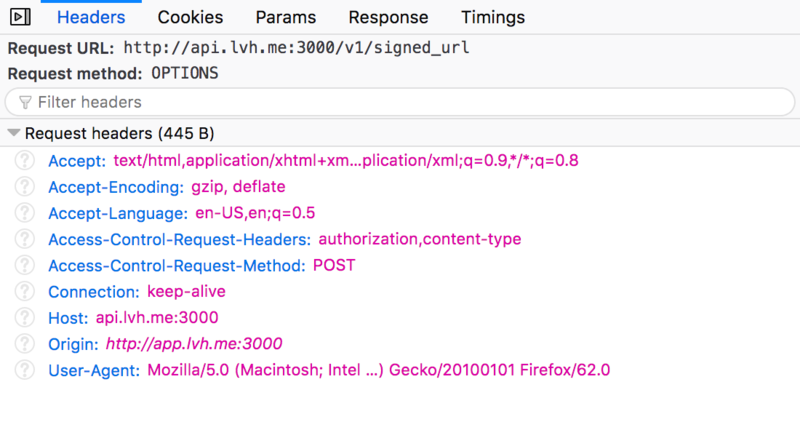 I have been trying to debug this but Firefox doesn't seem to provide any great way to debug what is causing the failure and their documentation leaves a lot unanswered. Any tips or ideas to try? When querying the database where there should only ever be one record, I want an exception if .first() (first) encounters more than one record. I see that there is a first! method that throws if there's less records than expected but I don't see anything for if there's two or more. How can I get active record to fail early if there are more records than expected? Is there a reason that active record doesn't work this way? I'm used to C#'s Single() that will throw if two records are found. I have an API only application built in Rails, which requires an encrypted login to receive a token. Subsequently, requests for data from the API are authenticated with the token value in the header of the request. 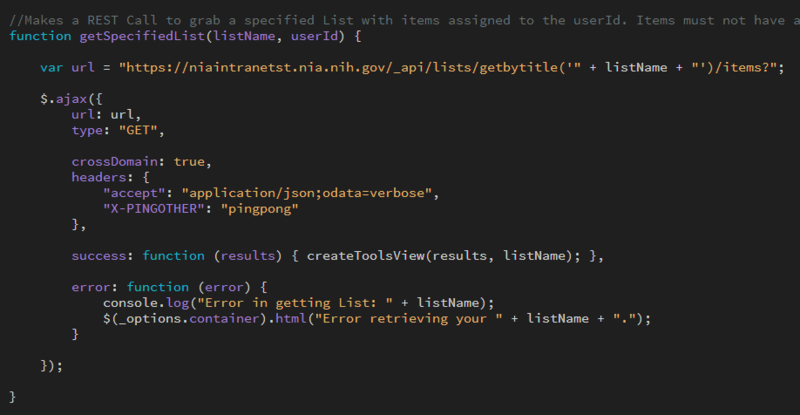 I have another Rails application which uses this API for a few different things. Currently I have it set up to authenticate before making any request, which gets a token for that request. This is fine, except that it sets up a potential race condition once the application is available to the public. It's possible that two requests could come in at virtually the same time, resetting the token twice, making one of the subsequent requests for data us a token that is no longer valid. I wanted to use a $global variable to store the token and the date/time it was refreshed so that it's always available to all users and only refreshes the token if it is more than a couple of hours old. This would solve the race condition problem, but from everything I am reading USING GLOBAL VARIABLES IN RAILS IS BAD. It seems to me this use case is an exception, but I want to do it the right way. Is my only option to store these values in my own database? It seems silly to set up a data model for a table that will only ever contain two columns and two rows, but I don't know if that is the Rails Way(TM) or the Best Way. When myObject.data.name exists, it's fine both in Chrome and firefox, but when myObject.data.name is undefined, when it should print myObject.name, Chrome renders a date instead of the string I want him to render, and firefox renders it correctly. I log the data I need to check in the dev console, and the data is here so I don't know why Chrome won't render it like firefox. There is an app which uses many technologies for its front/back-end. In the end there is a compiled version which can be installed on premise. One page allows user to upload the logo image, which will be displayed on the page. Is it possible that user is trying to upload the image from the HOST system inside the VM (VM Ware ESXI) and the browsers/smth else blocks this kind of cross-domain uploaded image inside a VM? I have checked the check box > Permissions > Block pop-up windows and Warn you when websites try to install add-ons and under security > Deceptive Content and Dangerous Software Protection > Block dangerous and deceptive content > Block dangerous downloads > Warn you about unwanted and uncommon software. There is no facility to prevent redirect to other websites, so many times the browser redirects to unknown websites like cobalten.com, etc. How do I prevent such redirects? I have checked the checkbox > Permissions > Block pop-up windows and Warn you when websites try to install add-ons and under security > Deceptive Content and Dangerous Software Protection > Block dangerous and deceptive content > Block dangerous downloads > Warn you about unwanted and uncommon software. But response.headers is empty. But I can clearly see the headers in Chrome. Is there a reason why the fetch call is blocking me from viewing them? What do I need to get access to these headers? The server stores some application specific headers that we would love to use. Thank you Karim for the help on this! We recently moved to SharePoint 2016 (from 2010) and are noticing that our ajax calls from one SharePoint site collection to another were being blocked by CORS messages. 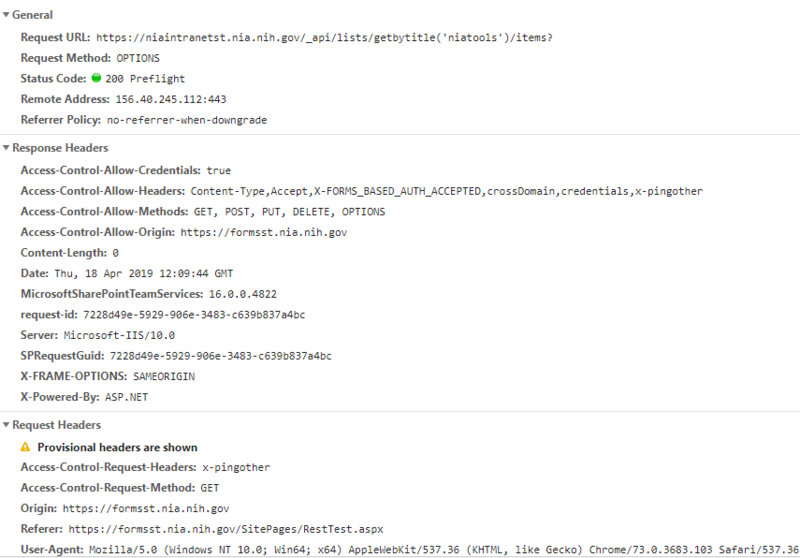 I've done my best to research this and found that many suggested using the URL Rewrite tool in ISS in combination with modifying the web.config to solve this. I had some success with getting the Preflight check to return a 200/OK status (screenshot 1), but then the subsequent real call to grab the SharePoint list data right afterwards, results in a 401 Unauthorized message (screenshot 2). The only thing i can think of is whether or not SharePoint 2016 is requiring us to send credentials of some sort since i'm not on the same site collection when i'm calling the code. Question : Does anyone have any suggestions on what i might try to get around the 401 Unauthorized error ? I have Angular-cli(Angular v7) project served by Ruby-on-Rails(5.1.6). To authenticate user I used gem devise_token_auth and gem rack-cors to make cross domain AJAX requests. In Firefox I can access client, access-token, uid in logInUser(). Maybe Chrome can't read these values from sign_in response and can't set them to the next requests. I can't find the solution for Chrome. Please help me. I tried to change my Cors configurations in my rails app but it didn't work. I upgraded recently to angular 7, so I don't know if that's what causing it. I have ruby-on-rails 5 api app and angular 7 app. I'd like to know how to fix this and to know if it's a backend problem or frontend problem. Thanks beforehand. // The response body may contain clues as to what went wrong.